A new and very unique idea for your next event! 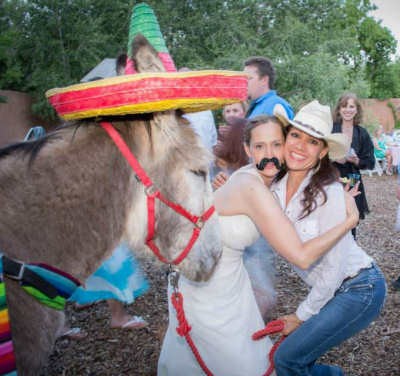 Since our first event in 2011, our tequila donkeys have been a huge hit! Let us help you celebrate your special occasion with flair. 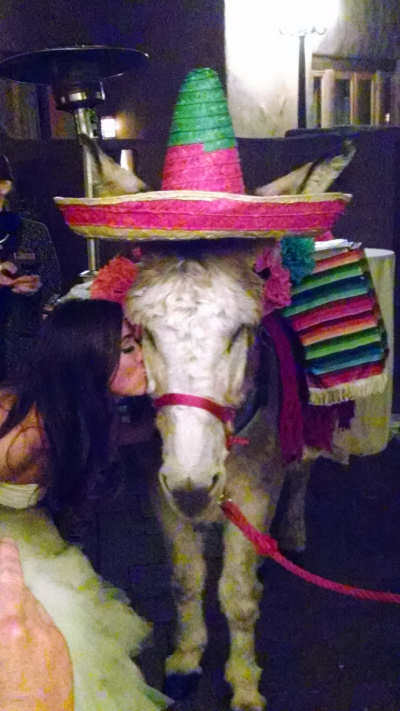 Imagine the fun your guests will have being served a shot of tequila from one of our delightful donkeys outfitted with colorful saddle, panniers, sombrero and shot glasses to add that festive touch to your next event! We are sure the moments you capture will be some of your fondest memories. 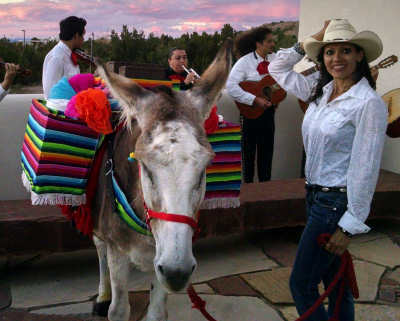 This unique service can be tailored to any special event from gallery openings to weddings and is available state-wide. Customers must provide tequila and a licensed server. Reservations and a 50% non-refundable deposit are required. One hour minimum. Please contact us for prices and availability.